The anti-satellite missile capability demonstrated by India on Wednesday will be a deterrent in the event of a war where space may be the theatre of action with countries seeking to down enemy satellites, experts explained. "The message goes strong and loud that if any of our satellites is harmed, we possess the capability of destroying yours (the adversary)," said Ajay Lele, senior fellow with the Institute for Defence Studies and Analyses (IDSA). The former Air Force officer and other experts said India has possessed the anti-missile technology for several years but needed the political go-ahead to actually test it in live conditions. They said the Defence Research Development Organisation (DRDO) received the green signal to prepare for the test two years ago, which came to fruition on Wednesday. In 2012, India conducted simulated tests, establishing the capability but the then Manmohan Singh-led UPA government had not given permission for a live test, likely over concerns that a destroyed satellite would result in debris that would damage satellites of other countries. Daniel Porras, Space Security Fellow, United Nations Institute for Disarmament Research (UNIDIR), Geneva, said Wednesday's test destroyed a satellite at an altitude of 300 km. "It was not a good sign for LEO (low earth orbit)... which has telecommunication and earth observation satellites and also the International Space Station", which cruises at a height of 400 km, he said. "The test was done at 300 km, so pretty low, meaning most of the debris will slowly come down. However, lots of objects near that altitude... Not a good sign for all those LEO constellations. Also, if any debris damages other objects, India will be liable under the Liability Convention (if attribution is established)," Porras tweeted. Former ISRO chairperson G Madhavan Nair, who was also secretary, Department of Space, from 2003 to 2009, said the DRDO had anti-missile technology, including the algorithms required for setting the trajectory to hit the moving target. "Marrying the two technologies (of ISRO and DRDO) was required which happened over the last few years," Nair told PTI. He said it would have taken about two years for scientists to perfect the missile launch once the go-ahead for the test was given by the government. Prime Minister Narendra Modi on Wednesday announced that the test, named Mission Shakti, was not directed against any country and the disused Indian owned satellite was a pre-determined target. In an address to the nation, Modi also said India has not breached any international law or treaty. India is only the fourth country to acquire such a specialised and modern capability after the US, Russia and China. There has been no instance of a space war but the countries have demonstrated their capabilities by testing on their own satellites, like India did on Wednesday. The UNIDIR defines ASAT (Anti-Satellite) as "any capabilities aimed at destroying or disabling space assets for any reason, whether military or civilian, offensive or defensive". Lele of IDSA said India had already developed Intercontinental Ballistic Missiles (ICBM) technology and along with it came the know-how behind ASAT. 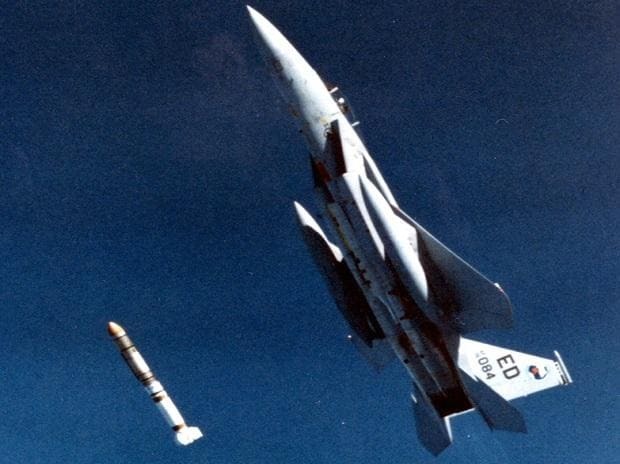 "Testing the Anti-Satellite missile at LEO at 300 kilometres was only to demonstrate capacity. This is also a deterrence mechanism in the event of a space war, similar to what India has developed in the nuclear domain," he said. Lele added that a political decision was required as conducting anti-satellite missiles tests could attract international criticism over issues of adding to debris in space and accusations of militarising space. In an era where defence forces rely on satellites for different aspects of security, including intelligence gathering, having ASAT missile capability sends a strong signal to adversaries, he said. Rajeshwari Pillai Rajagopalan, senior fellow and head of the Nuclear and Space Initiative, Observer Researcher Foundation (ORF), said Wednesday's development reflects India's desire to not make the mistake it did in 1974 when it conducted its first nuclear test in Pokhran. The tests were conducted four years after the Nuclear Proliferation Test (NPT) Treaty came into force in 1970. There is no similar international treaty for space. "The successful test also acts as a deterrent in event of a space war. The technology was available, so it was high time India tested it. Political will was also needed behind taking the decision," Rajagopalan said, referring to the possibility of an international backlash. Now, the spectre of space war has spilled over from the realm of Hollywood fiction into Indian reality.